A panel of senators voted Thursday to put $1.5 billion in additional public school funding in the state's two-year budget. That includes more money for pre-kindergarten programs, the state's Virtual School Network and Teach for America. A panel of senators voted to put $1.5 billion in additional funding for public education in the two-year state budget on Thursday — including $40 million for pre-kindergarten programs, $20 million for the state's Virtual School Network and $4 million to support Teach for America. The money would come on top of the proposed $35.1 billion in general revenue for public education, which unlike the 2011 budget did, accounts for new students expected to enroll in the state's public schools. The additional funding approved Thursday would also restore some of the $5.4 billion reduction in state funding that lawmakers passed during the last legislative session. The full Senate must still approve the Finance Committee's recommendation. During Thursday's hearing, lawmakers on the committee suggested they might fight for more education funding, including money for measures like early college high school programs and the Student Success Initiative, which provides remedial help for students who fall behind. The $40 million for pre-kindergarten — which Sen. Tommy Williams, R-The Woodlands and chairman of the committee, referred to as a "down payment" — would replace a fraction of the $200 million in competitive grants the Legislature eliminated in 2011 for full-day programs for low-income children. The funds would be distributed proportionally to school districts based on eligible student populations. All items discussed Thursday passed without controversy except a rider from Sen. Dan Patrick, R-Houston, chairman of the Senate Education Committee. Senators agreed to consider at a later date Patrick's request for $2 million for a board that would approve and oversee the state's charter schools. Some committee members raised concerns about accountability and the potential bureaucracy such a board might impose. The money would be appropriated only upon the passage of Patrick's Senate Bill 2, which would dramatically expand the number of charter schools in Texas. The objections raised during the hearing signal the struggle Patrick's priority legislation might have as it makes its way through the chambers. State Sen. Royce West, D-Dallas, said the new board would not be accountable to taxpayers in the same way that elected members of the state education board would be. 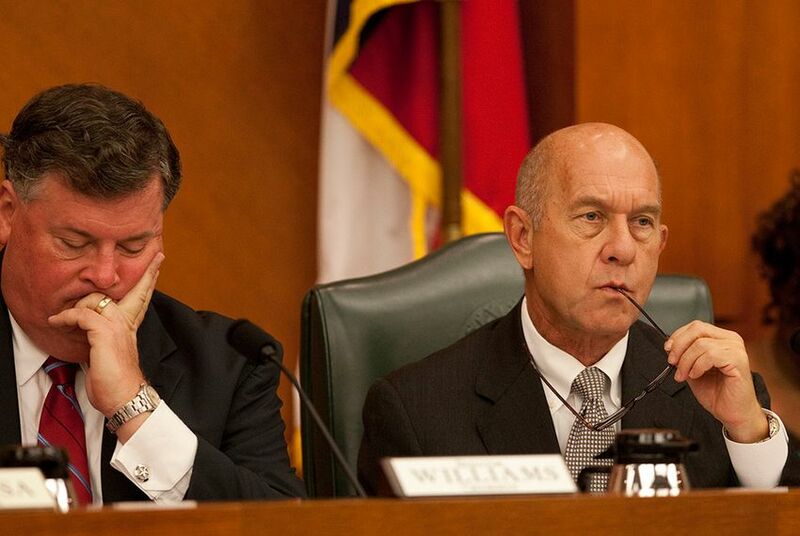 State Sen. John Whitmire, D-Houston, questioned how the creation of a new government agency squared with a "less government" philosophy that Patrick typically espouses. And he asked why Patrick had not considered improving the resources of the SBOE first. "Instead of fixing the agency that is in charge of this responsibility, you want to turn and create a new bureaucracy," Whitmire said, adding that in years to come the board would probably cost more than $2 million a year to operate. Patrick said the new entity was needed because the State Board of Education, which currently authorizes charter schools, did not have the resources to devote to the job. "The SBOE is simply overwhelmed in work," he said. "They have a full plate and thus cannot give 100 percent of their attention and time to this issue."